Thank you Stavros [Lambrinidis, EU Special Representative for Human Rights], thank you António [Guterres, UN Secretary General] for your constant focus on human rights that has a seed in your personal story. Thank you Michelle [Bachelet, UN High Commissioner for Human Rights], because I cannot imagine a better advocate for human rights worldwide than yourself – with your own personal background, your personal story, and all you have done for your country. And thanks to all the 13 countries that have worked with us to set up this initiative. Welcome also to all of you in this room, in particular friends from Civil Society Organisations and Human Rights Defenders. Because if we gather here today, it is to celebrate your work; you are the “stars” today, you are the reason why we are here. Today we want to show that progress on human rights is possible, and it is already happening. As it was said before, we often focus on the problems and this is our job to solve them. But I believe the inspirational power, the contagion that can be spread when the positive results are shown because it means that working on human rights delivers; it is useful, it is not just testimony, it is something that produces change for good. It is true that human rights continue to be violated all around the world, and in some countries, the situation is getting worse and worse. But there is nothing inevitable about this. Each individual, each country and institution has a clear choice to make: we can believe in the possibility of positive change – and work for it – or we can give in to disillusion and despair. And we have clearly in this room chosen the first way. Some, around the world, are arguing that Human Rights are outdated. That national interest can justify the suppression of individual and collective rights. We are here today to state the opposite. When civil rights, social rights and individual freedoms are guaranteed, it is the national security that is better served – the two go together. It is what I would call “sustainable security”. There is no sustainable security without inclusion and human rights for all. 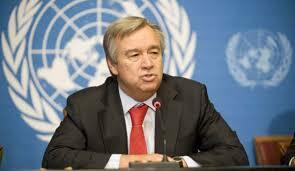 We are to show that every nation’s interest is to protect the human rights of all its citizens. Every violation of human rights is a violation of our collective and national interests. The two coincide. Of course, no country is perfect, including in Europe. All our societies have flaws and issues that need to be addressed. But we do believe that progress is possible, and that there is a path to follow. That path is the one indicated 70 years ago – in a Universal Declaration that brought the world together after the greatest disaster in human history. And since seventy years ago, we have come a long way. Our societies are better than they used to be, precisely because our mothers and fathers decided to walk that path. Some of our countries went from dictatorship to democracy – and Michelle [Bachelet, High Commissioner for Human Rights] and António [Guterres, UN Secretary General] know this better than anyone else. Some of our countries gave the right to vote or to study to people who never had it before. Some brought thousands of people out of poverty, and let them contribute more fully to public life. Human rights are not a ‘nice to have policy’. An abstract concept that only concerns those in New York or Geneva who spend so much time talking about them. It is not an elite thing. As our stories today show, human rights are real; they improve lives for millions of people; they strengthen societies and charter the path for a better collective future for humanity. Some of the stories we present are about small victories for a few people. Others concern laws and constitutions, have extended rights to millions of people. But they all have something in common: they have all contributed to better societies for all and allowed our countries to progress collectively. And these stories are all part of a greater collective story. This is why we are presenting these stories here at the United Nations, with the people, it is a collective story and it is a collective path we are following. And with the risk of sliding back ever more, we need the United Nations even more. We need to be united as people even more. We need even more the Human Rights Council, and all the institutions that are mandated to protect all of us from abuses, poverty and exclusion. Our institutions are not perfect. The UN system is not perfect; I can tell you the European Union is not perfect; nothing is perfect in life I am afraid. But this is not an excuse to disengage, on the contrary. This is exactly the reason to try even harder, to put even more energy and resources in the work we are doing every single day. Preserve and reform; reform to preserve. 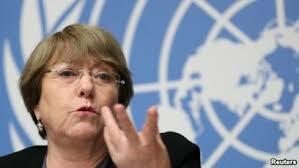 And I know the big work that the [UN] Secretary General is doing in this respect and Michelle [Bachelet, High Commissioner of Human Rights] on the human rights’ work. Today, we showcase tens of success stories from all around the world. I hope they can inspire thousands, as they have inspired myself and I believe all of us who have been working on this from the beginning. In sharing our stories today, I believe we are marking a commitment to continue working together, aspiring to have more and more countries joining, strengthening human rights all over the world together with the United Nations.